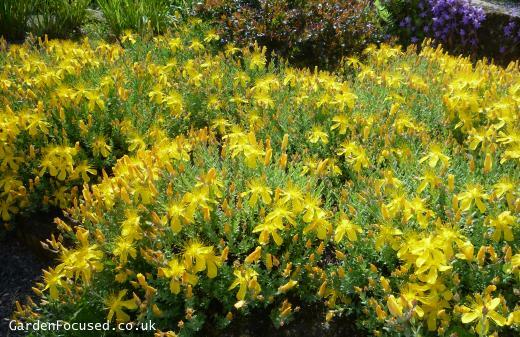 Is Hypericum 'Hidcote' Right for my Garden? 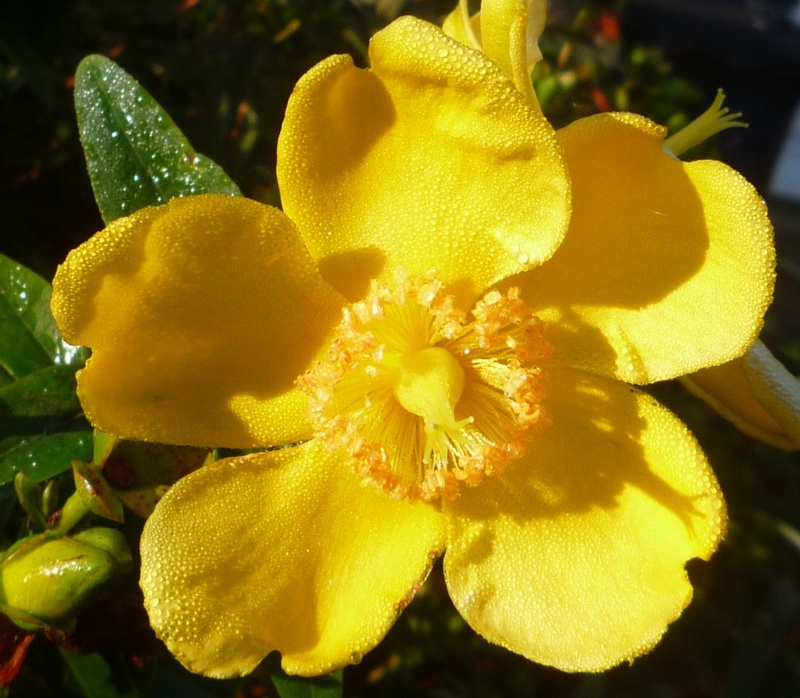 Hypericum is a group of about 400 plants but only a few of them are commonly grown in the UK. Hypericum Hidcote is by the most common of the group producing masses of medium sized yellow flowers in July to August. It is evergreen in most winters and forms an attractive dome shaped shrub which is extremely easy to care for. The origins of Hypericum (also known as St John's Wort) are not known because it now so common in almost all parts of the world. In some parts they are considered as weeds. They grow to a maximum height of 1.5m / 5ft and a slightly larger spread. The green leaves are normally evergreen although in hard winters they can be dropped for a couple of months. In July they produce large numbers of medium sized yellow flowers which last until mid August. A second flush often occurs in late August to early September but it rarely amounts to much. They grow best in partial shade and but tolerate full shade and full sun well. They grow well in almost all soil types but avoid highly acidic or alkaline ones. Established plants require no attention other than an annual prune to shape. This can be done with a hedge trimmer or a pair of secateurs. They are hardy down to -12°C so should survive well in winter for almost all areas of the UK. They can be grown in containers but this not their ideal environment. Some parts of the plant can cause problems if eaten. Some people use them for combatting depression but take medical advice before doing so. No specialist knowledge is required to grow them and they are rarely affected by pests or diseases. Choose a position in partial shade for best results but they truly are adaptable shrubs for shade and full sun. They can be planted in soil conditions except extremely acidic or alkaline conditions. 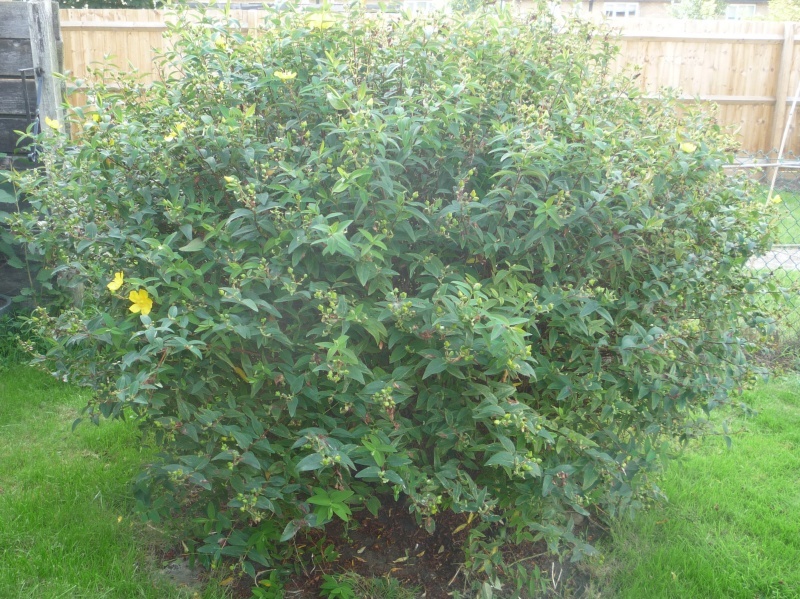 This is a fast growing shrub which can grow about 40cm in height and width each year. Allow for at least a 1.5m / 5ft spread when full sized. It can be planted all year long if the soil is not frozen and you can water well when conditions are dry. Mid March to April and mid September to October are the best times to plant. Dig a hole twice the width of the rootball. Sprinkle in a handful of blood, fish and bone and work into the ground. Place the plant into the hole, filling in with soil so that it is at the same depth as was in the pot. Fill around the rootball and firm the soil down gently but firmly. Water well to settle the surrounding ground around the rootball. When established a Hypericum will look after itself. There is no need to feed them unless the ground is very low in nutrients. Neither is watering required except in severe drought. The tough nature of these shrubs is well understood by council landscape gardeners whose only care, if any, is an annual prune. For younger plants up to two years old, water if conditions become dry. A twice yearly feed with blood, fish and bone in spring and autumn will help it to establish a good root system. Keep the area around the base of the plant free from weeds and grass. Clear leaves and other debris which falls on them. There are no common pests or diseases of this plant. Hypericum Hidcote flowers on stems which have not produced buds in the current year and the standard advice is to prune it in early spring, some time in March. This will result in the flowers appearing a week or so later than they would if the shrub was not pruned at all. However, we always prune ours in late summer to early autumn when the flowers are no longer being produced. This seems to work better compared to spring pruning, with the flowers being produced slightly earlier but just as good. 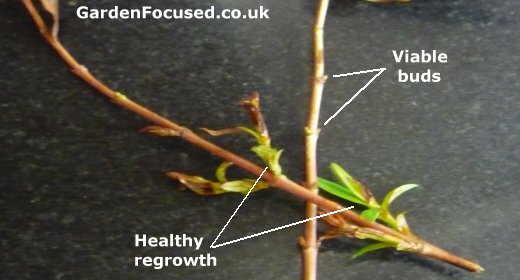 Buds do not form on the new shoots, which will grow after pruning, until the next year. The method of pruning is simple, use whatever implement you have (we use a hedge trimmer) and cut to shape. It's no more complicated than that, whatever size the plant is. Established hypericums grow rapidly after pruning so prune away a little more than you might think is needed. An established hypericum can be pruned down to a coupe of feet high and wide without any risk of damaging it. Hypericum are frost hardy down to -12C which is rarely encountered in the UK. However a combination of extended sub zero temperatures, snow and wind can cause significant damage to the normally evergreen leaves. 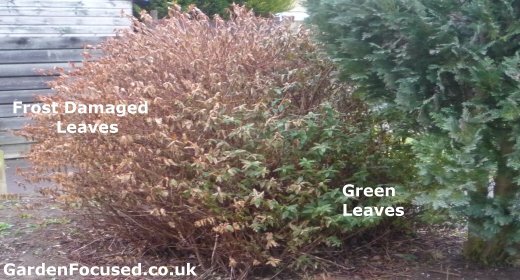 The picture below is interesting because it shows brown, dead leaves on most of the hypericum in our garden with only the right side (protected from wind by the close by evergreen tree) still showing green leaves. When we look at the hypericums on our estate, and there are many, they all show similar damage. In the late winter of 2018 temperatures fell in our area to a low of -7C and over many days they remained below zero even during the day. At the same time there were strong winds and heavy prolonged snow. This resulted in the majority of the leaves turning brown and dying. Exactly the same damage occurred to all the hypericums on our estate. Many people emailed me to ask if their hypericums were dead. We took a close look at ours a couple of weeks after the damage occurred. The close-up picture below shows that damage looked worse than it actually was. The two stems above show that regrowth of the foliage is occurring although only in a few places. But all the stems have clear signs of healthy viable buds which will soon sprout new leaves. So, on 28th March although our hypericum looked like a lost cause, it actually has every chance of fully recovering! We will post one more picture at the end of April to show you how it has progressed. Many garden centres sell Hypericum especially from July to August to November when they are in flower. They are also commonly sold online. Jackson's Nurseries sell these plants at a good price. However, they are so easy to propagate from semi-hardwood cuttings in July and August (and so commonly found in gardens and parks) that this is a sure fire method of acquiring your own for free. One particular variety of hypericum which caught our attention is Hypericum olympicum 'Edith'. We saw it at Wisley RHS in June and it's a stunner. Growing only 30 cm high or so it spreads significantly. It can easily be kept under control by regular pruning. It's not commonly sold but if you can find it, it's well worth the effort. See the picture below. Below we list the key strengths and weaknesses of this shrub. lists their comments, questions and answers. At the end of that page there is also a form for you to submit any new question or comment you have.